Keeping an eye on your home is simple, even thousands of miles away. Just hook up the 3G Wi-Fi Camera ( JH09 ) and leave it running. You can check at any time through your smartphone to monitor your house and you can relax in the knowledge that should anyone break in you'll instantly be alerted with frame grabs of the intruders sent to your mobile. In peace of mind you could check what is happening in the house through 720P live video stream. 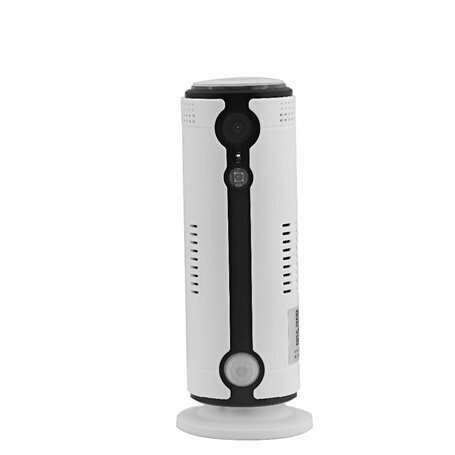 Even when the power is cut off, the internal battery is ready for up to 4 hours usage to detect abnormal motion aided by the PIR sensor. Quick & Easy Set Up : It only takes you a moment to set up the device. No complex router configuration and technical skills needed. The stand/wall mount holds the camera securely in place. 3G & WiFi Available : Compatible with latest 3G and Wi-Fi technology, youcan access live video stream or recorded footage from anywhere any time, using our free mobile IOS & Android apps. 720P Live Video : See and hear your zone with HD 720Pframe grabs loaded with fantastic color representation, great night vision and fantastic audio clarity. Infrared Detection : Any movements can be detected. As soon as something abnormal happens, the device will send alert message to you in no time.